The Subaru XV Black is the new limited edition of the carmaker’s popular crossover vehicle and is worth looking at if you’re after a rugged, go-anywhere vehicle. 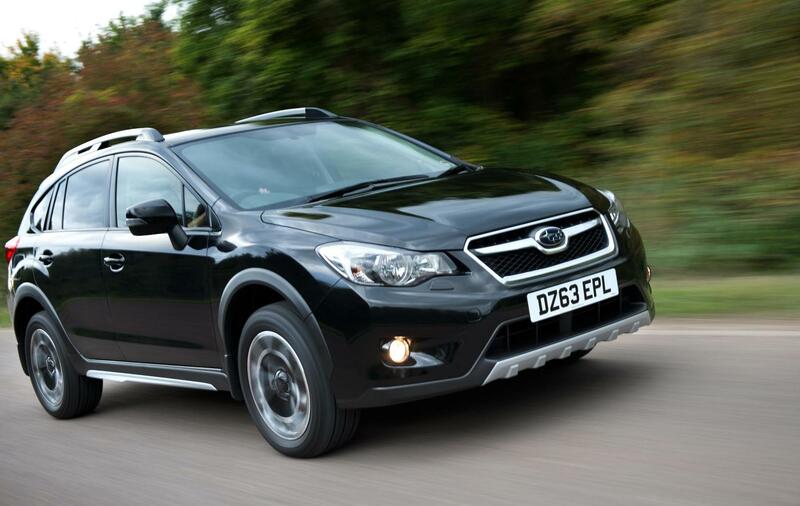 The Subaru XV is one of the safest cars in its class, according to Euro NCAP, and on the road prices start from £24,495 for this Black special edition. There are a few visual changes to the Subaru XV which help make it look a tad more rugged and this limited run variants comes with a choice of diesel or petrol engines as well as manual and Lineartronic transmissions. All in all, Subaru is offering up a very good package with the XV Black models being fitted with either Subaru’s 2.0-litre Boxer diesel engine mated to a six-speed manual transmission, or the 2.0-litre Boxer petrol unit and a Lineartronic automatic transmission. Finished in Crystal Black Silica paint, the Subaru XV Black also has silver resin underguards and mudflaps to help it stand out from the crowd. As a special edition, the Subaru XV comes with a range of extras fitted as standard which would cost more than £1,600 if they were fitted as options but on this limited edition model the premium is only £1,000. That’s food for thought since the Subaru XV is an ideal vehicle for young families, its crash safety rating is 90% which is one of the highest scores recorded for child occupant protection. Drivers will find that the Subaru XV is a very good vehicle when driving in an urban environment or out in the wild. It has a decent ground clearance, it’s the highest of any the vehicle in its segment, and has the lowest centre of gravity. Fuel economy is quite impressive since the engines are efficient and the body is lightweight which means the Subaru XV fitted with a 2.0 litre diesel engine will return 50.4 mpg on the combined cycle. The petrol engine will return around 40.9 mpg. Even without the extras for the limited edition, the XV comes with generous equipment levels which includes the Vehicle Dynamics Control (VDC) system, to help the driver avoid losing control of the car. Safety is also a big feature for the Subaru XV with front, side, curtain and knee airbags, daytime running lights and a rear view safety camera. Subaru have also fitted rear privacy glass, dual zone air conditioning, heated front seats, cruise control and windscreen wiper de-icers. As usual there is Bluetooth connectivity in the cabin. This entry was posted in Car Leasing, Cars, Crossover Cars, Popular Cars and tagged lease Subaru XV, new Subaru XV, subaru, Subaru XV, Subaru XV Black, Subaru XV limited edition, XV by Steve Lumley. Bookmark the permalink.